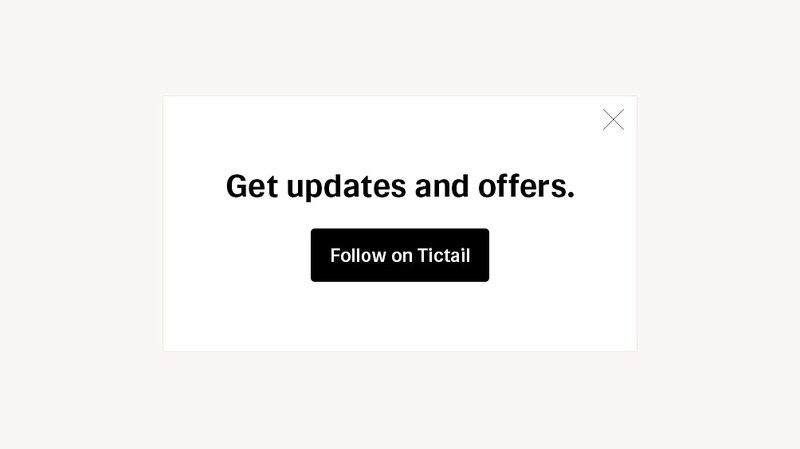 We’ve updated the “follow” button in your custom shop, making it clearer to shoppers what they’ll get from it: promotions, discounts, and updates on new arrivals, sent directly to their inboxes. 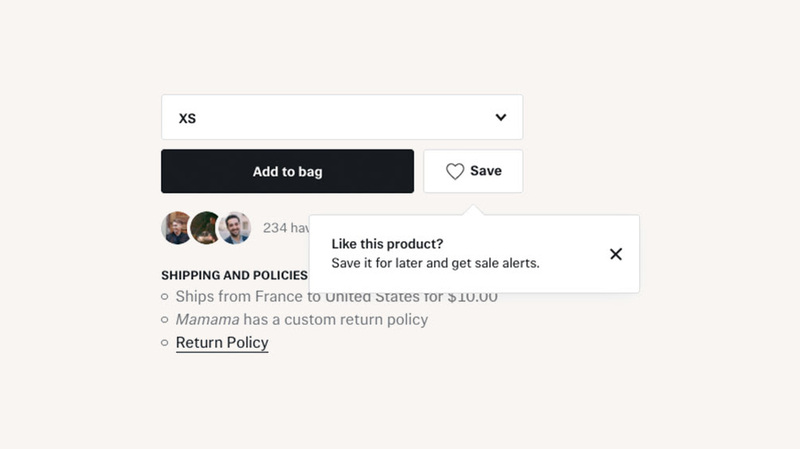 With the help of a simple tooltip, we’re letting marketplace shoppers know why they should save your products—one click, and they’ll automatically receive a notification when those items go on sale or come back in stock. Since we know that relevant content and recommendations increase conversion, we’ve developed a tool to personalize the marketplace for shoppers based on what they’ve viewed, saved, and searched for. Thanks to the same technology, we’re now able to send personalized recommendation emails to marketplace customers, making stand-out brands like yours even more discoverable.